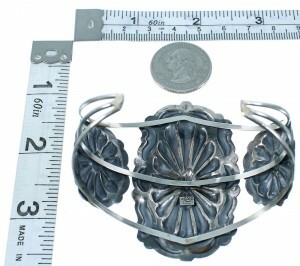 The inner bracelet circumference measures approximately 5-5/8", plus a 1-1/8" opening, 2-3/8" at widest point. 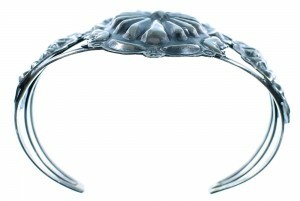 If you are looking for elegance and beauty, you have found it! 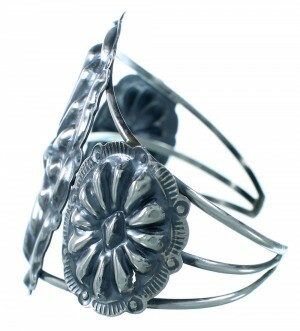 This piece of Native American jewelry is Navajo hand crafted by artist Tim Yazzie, out of genuine sterling silver. 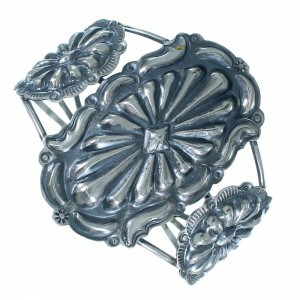 The bracelet consists of THREE silver bars and THREE hand cut silver pieces. 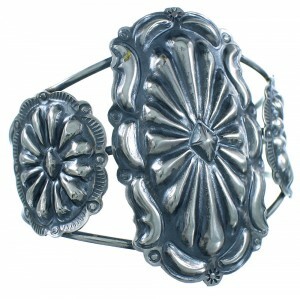 Stamped design and hand cut silver work accent the bracelet for a perfect finish.